Toasted Maple Muesli is all you need for quick, healthy, satisfying breakfasts every day of the week — and just like granola, this muesli tastes good enough to eat all by itself! Muesli is no different. And while store-bought muesli is good, dare I say that homemade is better! The following technique is simple and produces a flavor-packed mixture that can be served in the traditional overnight-oats style and is tasty enough to eat by the handful, too. There’s not a hint of the chalkiness that’s often present in store-bought varieties. A pretty jarful does make a delightful hostess, holiday, or just-because gift. Readers who have followed my blog for a little while know that I love a little history lesson, so for those who also like to know the origin of things….. Muesli was introduced around 1900 by a Swiss physician by the name of Maximilian Bircher-Benner. It was fed to patients in his hospital, where a diet rich in fresh fruit and vegetables was an essential part of therapy. It was inspired by a similar “strange dish” that he and his wife had been served on a hike in the Swiss Alps. For this dish, raw, rolled oats were soaked overnight with fresh or dried fruits, seeds, and nuts in milk and a little lemon juice. The softened oat mixture was eaten cold and never cooked. 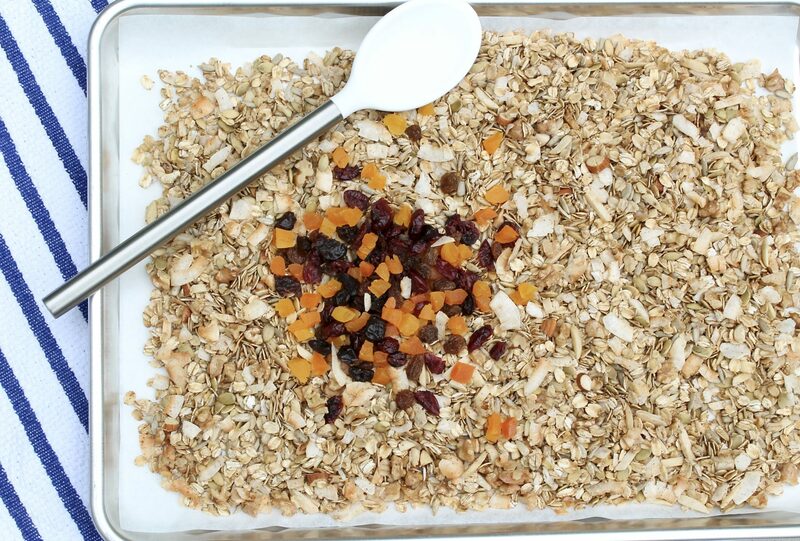 This hearty, wholesome blend is similar to granola and is equally customizable and versatile. For my favorite grab-and-go breakfast, simply mix with milk, yogurt, or a combination of the two the night before. If desired, add fresh fruit just before digging in. Quick Eating Muesli: Place 1/2 cup of muesli into a bowl. Add 1/3 cup milk, top with fruit and other toppings if desired. 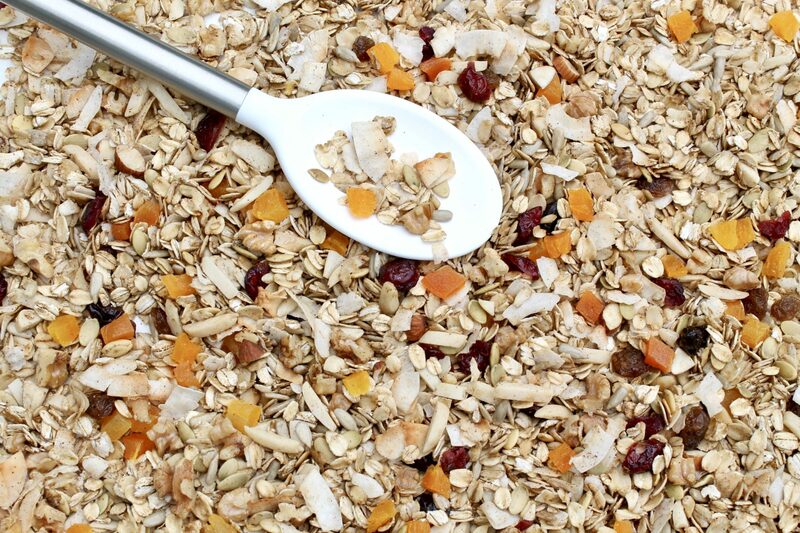 Soaked Muesli: Add 1 cup muesli to a medium sized bowl, add 2/3 cup milk and soak 20 minutes or, better yet, overnight. A longer soak = more tender the muesli. Top soaked muesli with fruit and additional toppings as preferred. 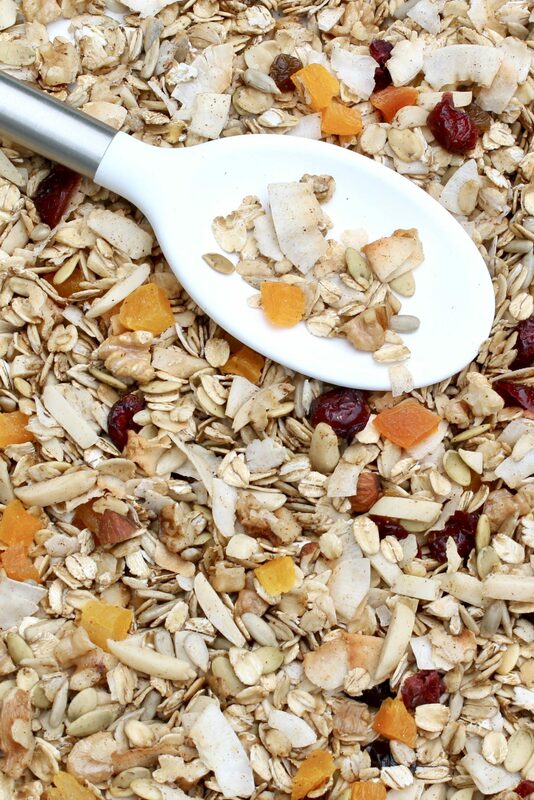 Hot Muesli: Add 1/2 cup of muesli to a bowl, and pour in 1/2 cup hot water. Steep for 3-5 minutes until liquid is absorbed and oats are tender. Top with berries and other toppings. 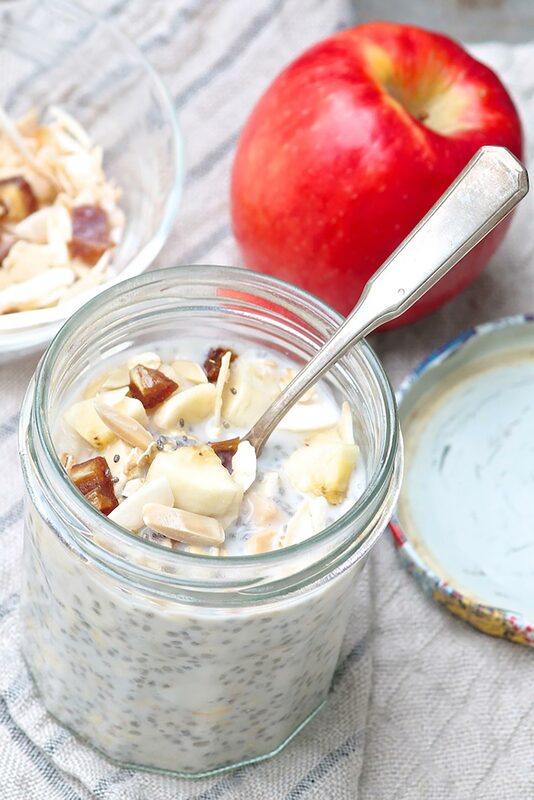 Another delightful preparation for Bircher Muesli Jars is described here and easily accommodates dairy-free, vegan, and gluten-free diets. • You can control ingredients. This applies to what you want in your muesli as well as what you don’t want. If desired, you can make your version preservative/gluten/soy-free. Allergic to nuts? Use all seeds. And so on. • More choices: My version has a hint of maple syrup for flavor but you could leave it out and add a tad more coconut oil or water in its place. And speaking of coconut oil, you could use a fruity olive oil or another oil of choice if you’re not a fan of coconut. • It’s economical. Do-it-yourself muesli affords a big batch for less money. • It’s toasted. This small step not only makes the nuts and seeds taste nuttier, it improves the flavors of the oats and everything else, too. I wouldn’t snack on most store-bought muesli as I would granola—it’s similar to eating raw oats—but I do with this lightly crisp, toast version. 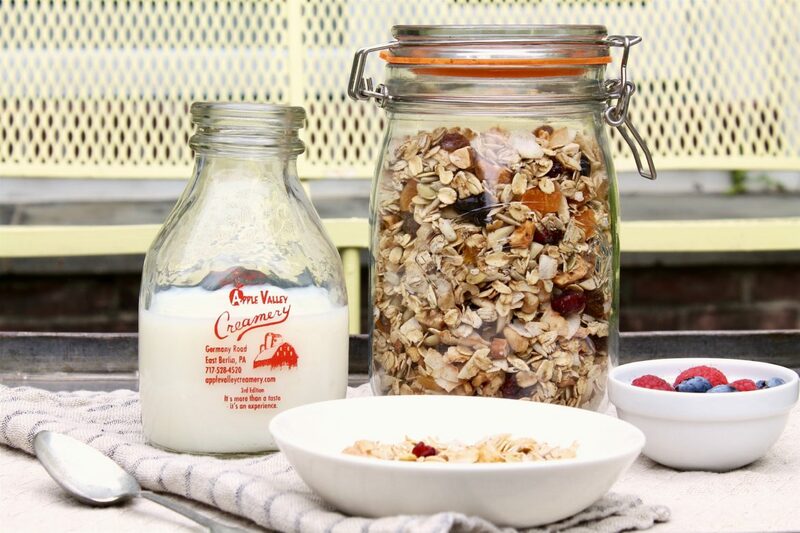 Meal prep Bircher Muesli Jars ⇩⇩ for quick and easy breakfasts all week long. And it’s not only for breakfast! Sprinkle over yogurt or any salad where you might use dried fruit like cranberries or a variety of nuts or seeds for added crunch. A light sprinkle will complement many fall salads—think of options that include apples, pears, and roasted root veggies—and supply a fiber-rich option to croutons. This simple technique produces a flavor-packed mixture that can be served in the traditional overnight-oats style but is tasty enough to eat by the handful! In a large mixing bowl combine the oats, almonds, sunflower seeds, pumpkin seeds, coconut flakes, cinnamon, and salt. Toss the dry ingredients until well mixed. In a small microwaveable bowl, melt the coconut oil, and then stir in the maple syrup and vanilla. Drizzle the liquid mixture over the oat mixture, and stir until the dry ingredients are evenly coated with the wet ingredients. Spread the mixture into a thin, even layer on the prepared baking sheet. Remove the pan from the oven and let the mixture cool completely. Add the dried fruit — you can do this right on the tray or transfer to a mixing bowl — and toss gently to combine. 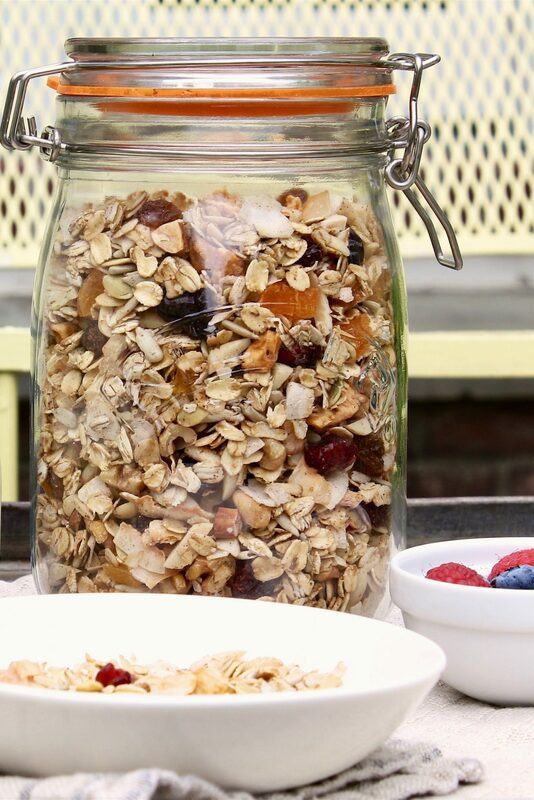 Transfer the cooled muesli into Mason jars, a zip-top bag or other airtight container. 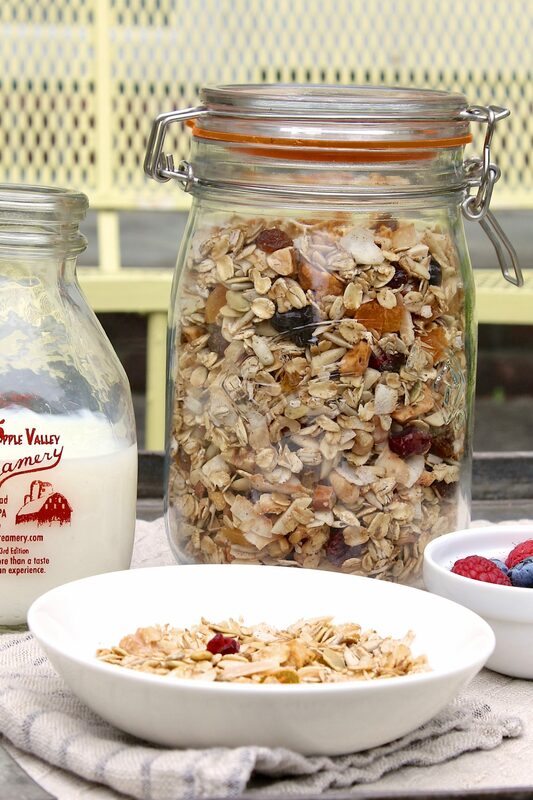 When stored in a cool, dry place, the muesli will stay fresh for approximately one month. *In my oven, I bake the muesli for 15 minutes, stir, and then bake for 3-4 minutes more. The pieces on the outer edges of the pan will toast somewhat faster than the mixture in the middle of the pan, so be sure to stir from the outer edges inward so that everything cooks evenly. Also note that dark coated baking sheets cook faster than light coated baking sheets. •add a splash of your favorite milk and fresh fruit, if desired. •Fresh fruit, yogurt, chia seeds, and extra nuts and seeds are good additions, too. •or use as a crunchy addition to salads and in baked goods calling for muesli! 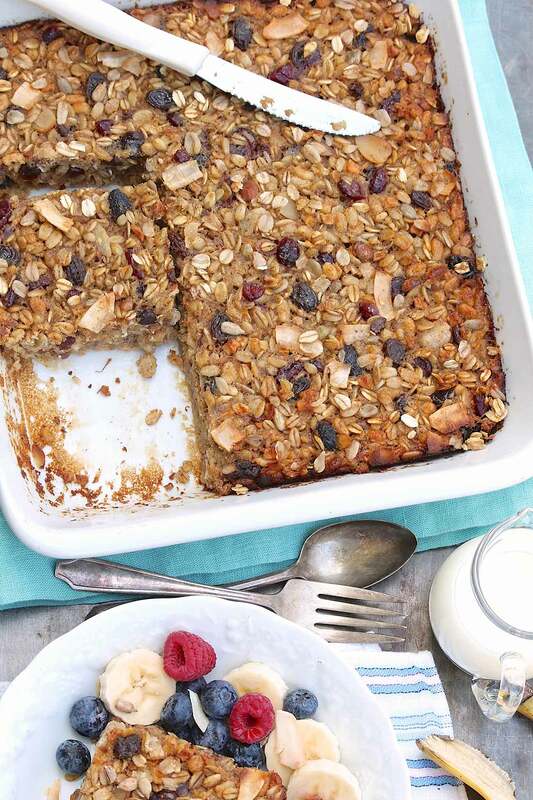 Muesli Baked Oatmeal offers another delicious, make-ahead way to incorporate this mix into a speedy, healthy breakfast.